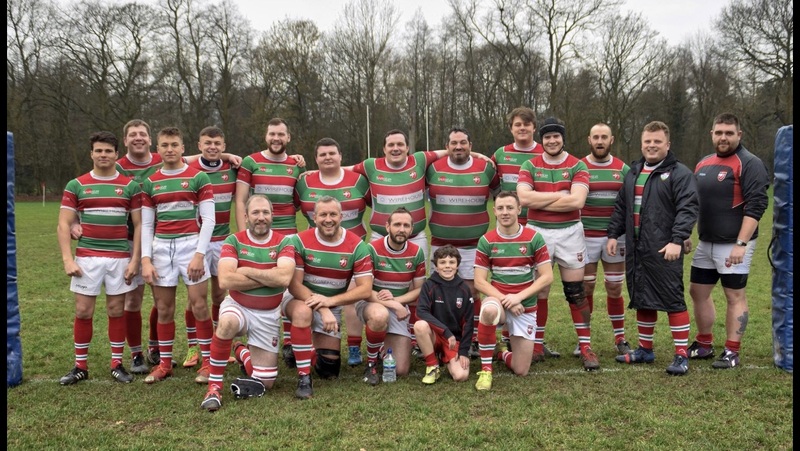 Warrington 2nd team’s hopes of finishing the season on a high were shattered by half time, as they shipped 33 points to runaway league-leaders Birkenhead Park in the first 40 minutes. However, they overcame their shell-shock to score 19 points to Park’s 10 in a tightly contested second period. The writing seemed already on the wall as the two sides took the field. Warrington’s young side was obviously conceding at least a stone a man up front and it didn’t take the visitors long to exploit their advantage when their pack crashed over within the first five minutes. The try was converted. Relentless pressure on the Warrington line resulted in another try from the Park pack and although Warrington defended bravely, they were unable to stem the tide and a further three tries were conceded so that the sides turned round with Park leading 33-0. Inspiring words at half time from coach Shaun McDermott and captain Craig Byrne, saw Warrington begin the second half with fire in their bellies. The pack started to punch way above its weight and this eventually created space for elusive winger Max Caldwell to dance his way over. Ben Dixon converted. After Park kicked a penalty to increase their tally, it was Warrington who struck again when iconic captain Craig Byrne barreled over in the corner from twenty yards. Park came back again with, inevitably, a converted try through their pack. But Warrington had the last word when their own pack was rewarded for its sterling defensive efforts and prop Alex Marland crashed over under the posts after a number of phases. Ben Dixon converted.